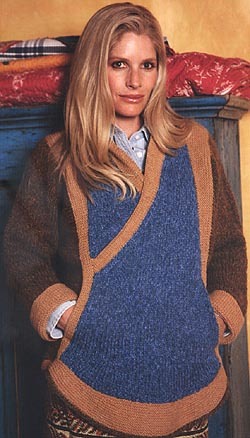 This unique design is knit using Jamieson's Chunky Marl 100% wool yarn and is from Simply Shetland 3. The design is by Cat Bordhi and is classified as an "Expert" skill level. The Kit with Needles includes all items shown above in the "Needles Required" section. All circulars included are Addi Turbos.